It's been awhile since I did a proper pictorial, because some of you know I broke out into a face full of sore, red rashes a couple of weeks ago after testing some face washes and my skin's been recuperating since then. 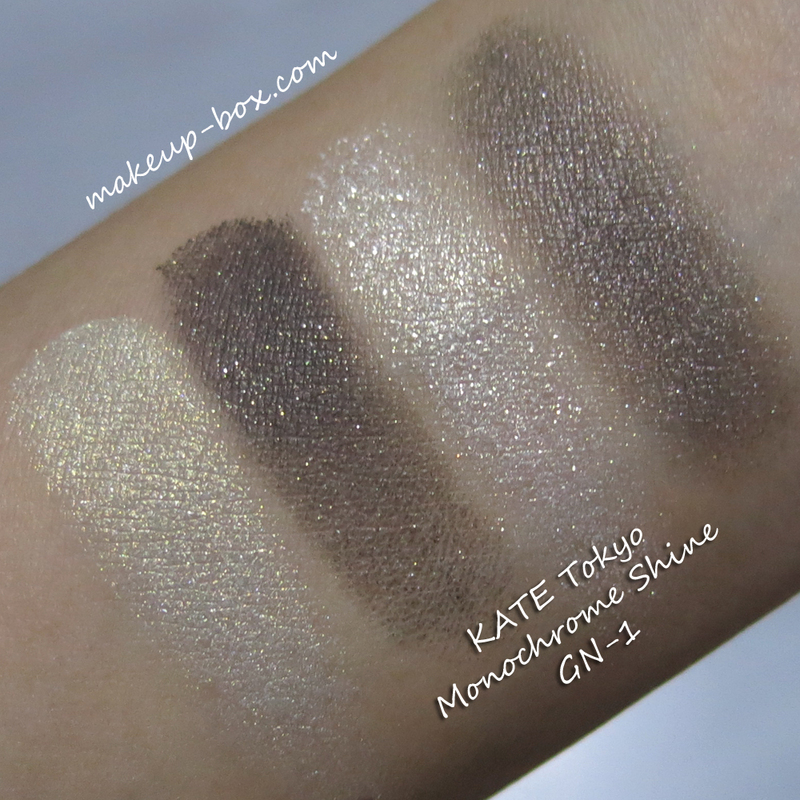 But now I'm all back to normal and slapping on the makeup once again, so I wanted to do a quick review + demo using 3 new KATE Tokyo products I haven't tried before. 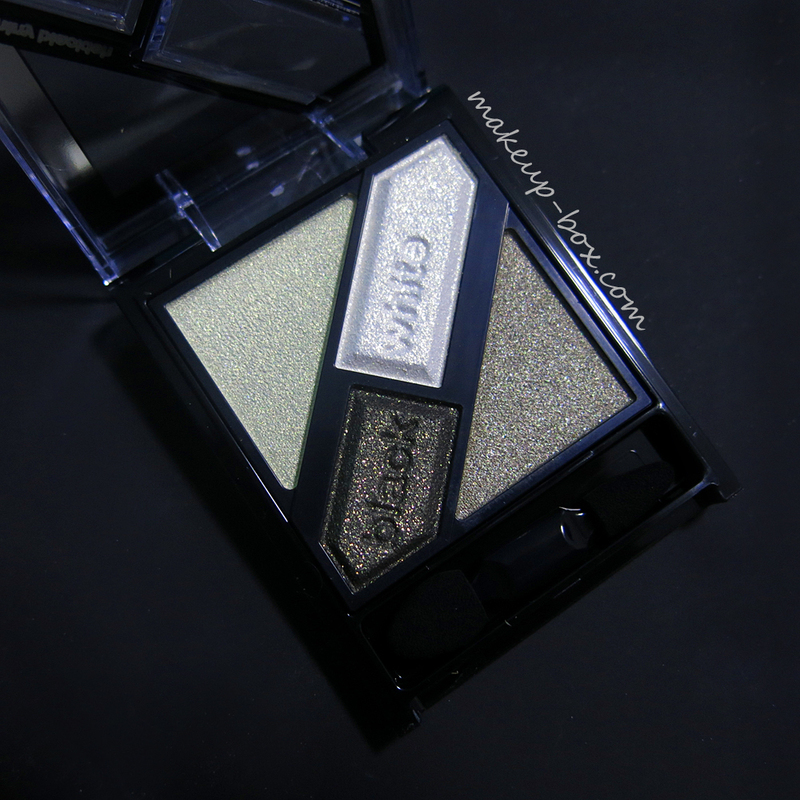 The Monochrome Shine palette, Lasting Eyebrow W duo, and the best-selling Super Sharp Liner. Japanese palettes tend to be very shimmery and usually lack really deep shades for definition, so I was pleasantly surprised when I first swatched GN-1, an olive/neutral quad. Before I get into the tutorial though, I do want to also highlight another recent love. 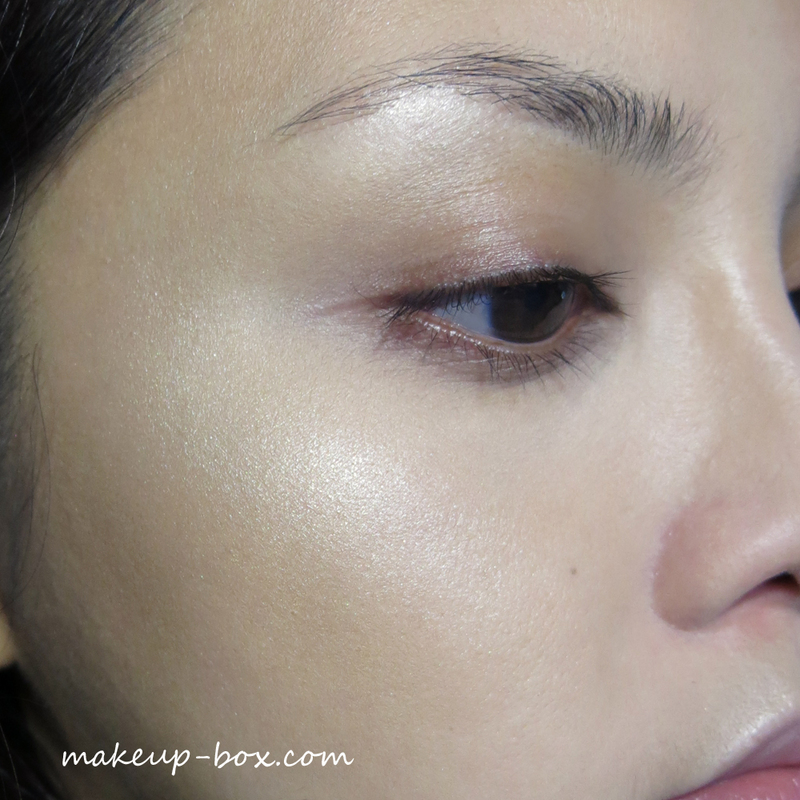 I applied my current favorite highlighter, Estee Lauder's limited edition Courrèges Illuminations face powder, onto cheekbones and brow bones. This drop-dead gorgeous multi-dimensional champagne has slightly opal-pink hues mixed in with a beige-gold. The sheen is beautifully translucent and doesn't go on chalky, so it would look beautiful even on darker skins. You also get 7g of product (The Balm's Mary Lou Manizer has 8g) so this is going to last ages. 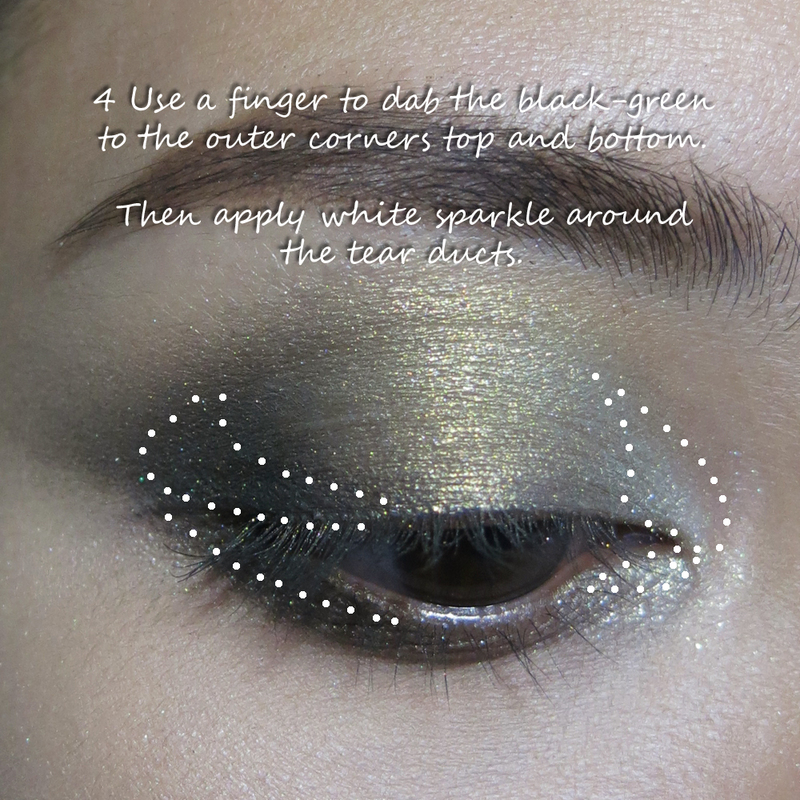 It can go on intense or it can be brushed out for a softer glow so it doesn't look too fake or metallic. Now that we're done with the side-track, let's move on to framing the face. 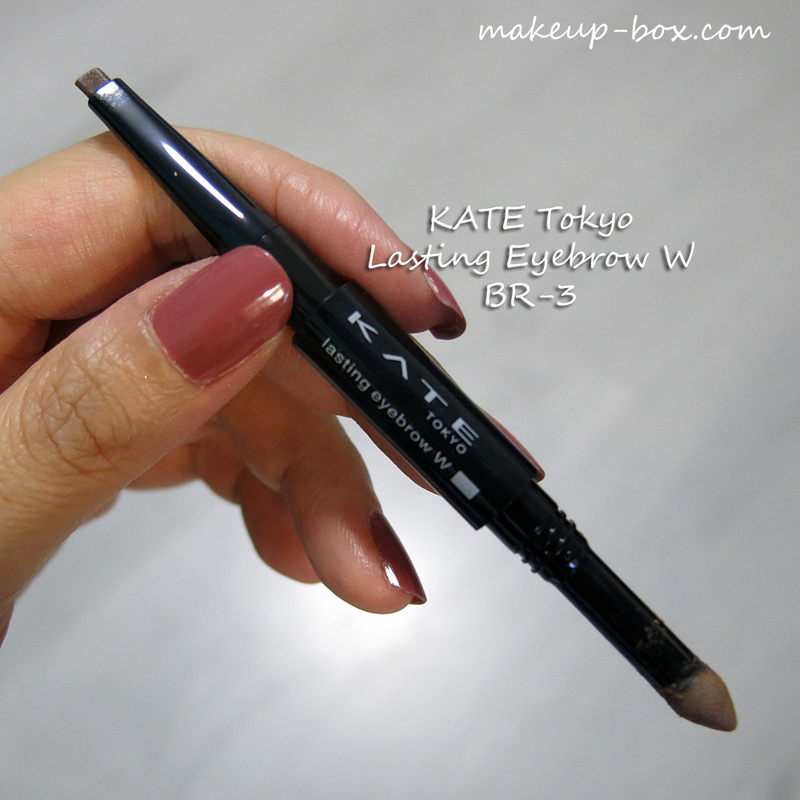 KATE Tokyo's Lasting Brow W duo is a pencil and powder combo that allows you to really fill out and define your brows. You do feathery strokes with the pencil end first to draw in "hairs". The flattened shape is designed to allow hair-like strokes, a la Shu Uemura Hard Formula 9 pencils, so I really like this end. 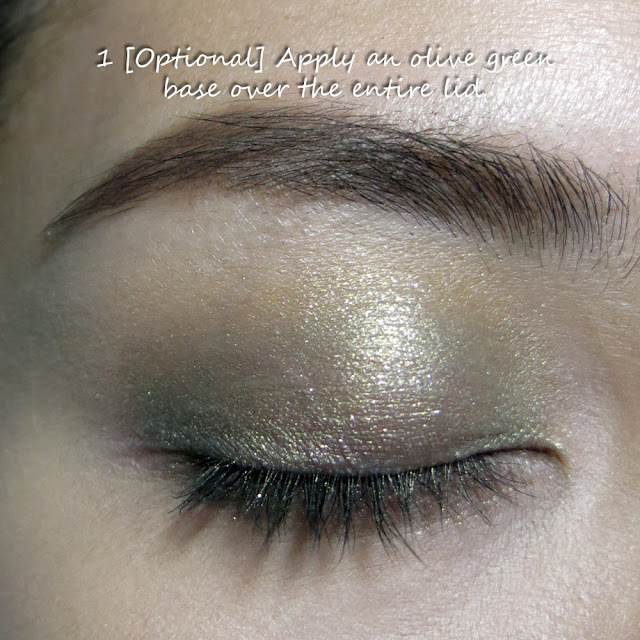 The powder end I'm not a huge fan of simply because I don't tend to use brow powders personally. 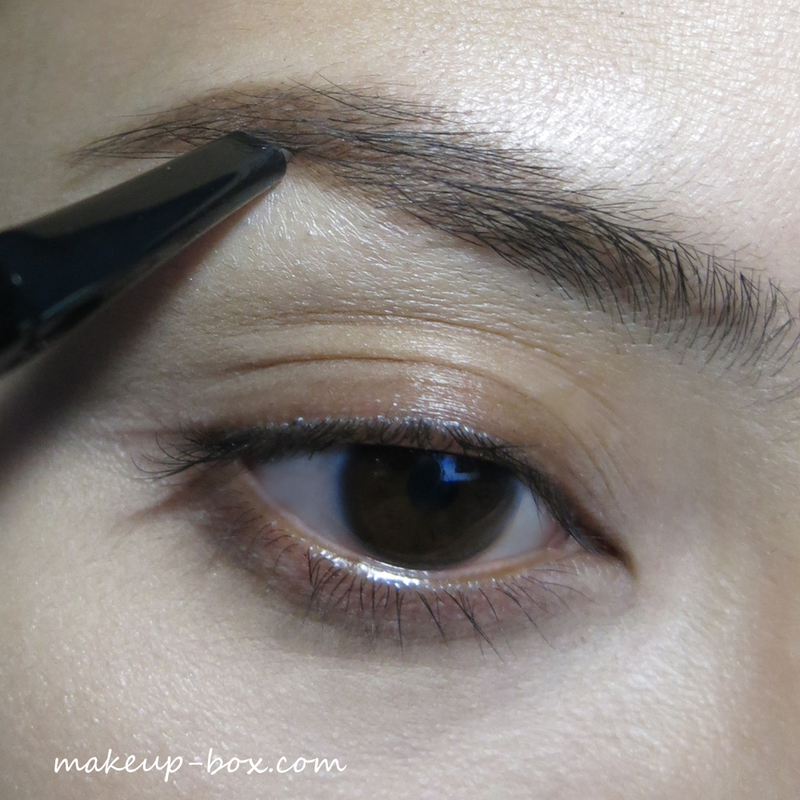 a texture/hair enhancer (mascara or wax) to keep hairs in place and/or emphasize brow hairs for a fuller effect. The one flaw with this product is that it has 2 ends in the first category, none in the second. And my impression is most people use EITHER pencil OR powder. But maybe that's just me. If you want a very filled in brow and aren't in the habit of using brow mascaras to brush your hairs into place, then this might be a great product for you. 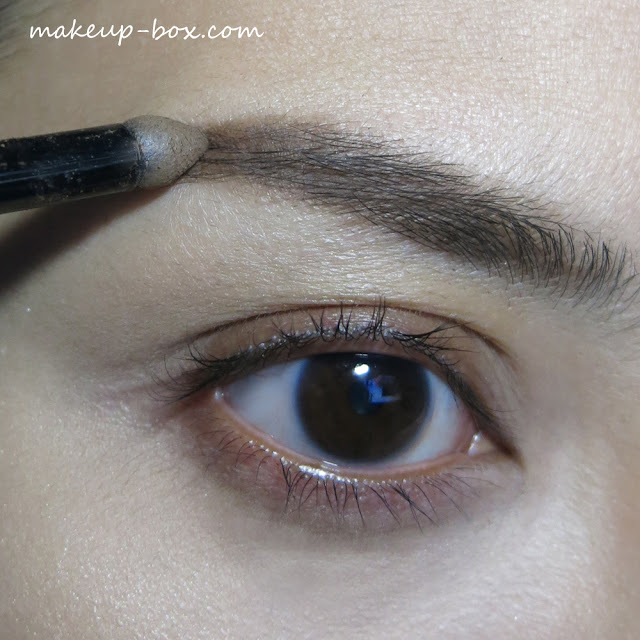 For me, I had to apply colored brow mascara after applying any powders just to re-emphasize brow hairs and add the "natural" effect back, and I can see myself using just the pencil end from now on so the powder end is a little bit of a waste on me. 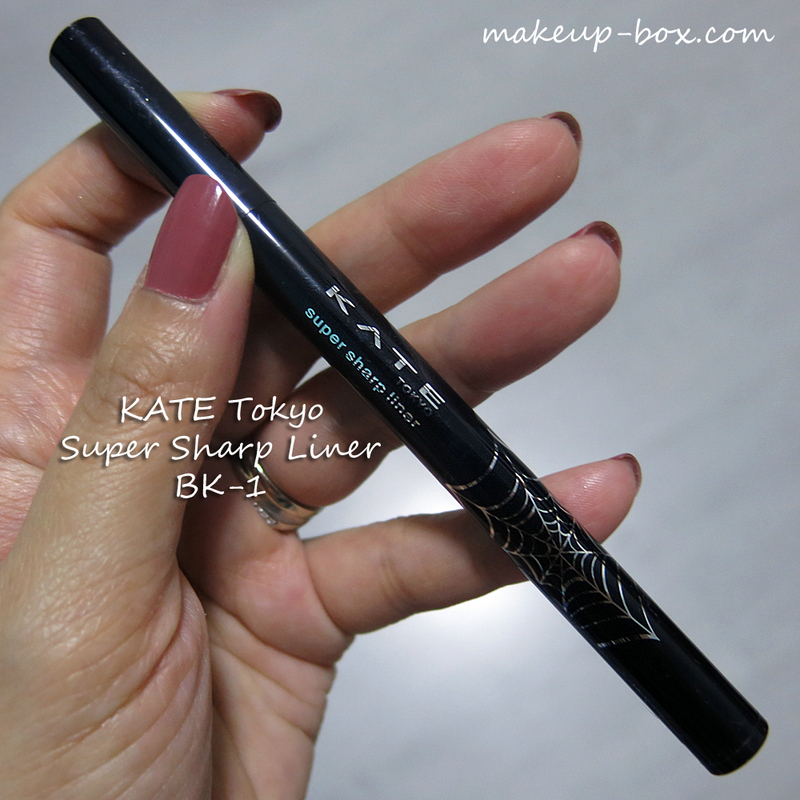 I also tried KATE's Super Sharp Liner for the first time, and I have to say I really like the brush tip. 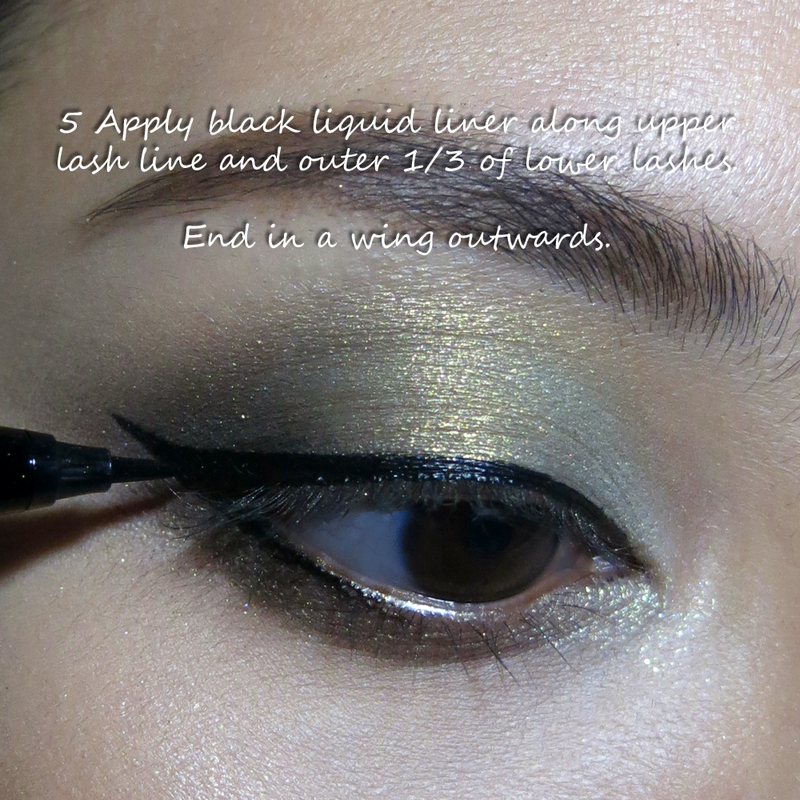 It's made with brush hairs like Shu Uemura's Calligraph:ink Liner, but is much finer so it's not overly wet and much easier to control. The brush tip is also pointed and firm like a felt tip so you can get ultra sharp lines as it doesn't splay like some of those thin traditional brushes. What do I think about these 3 products? 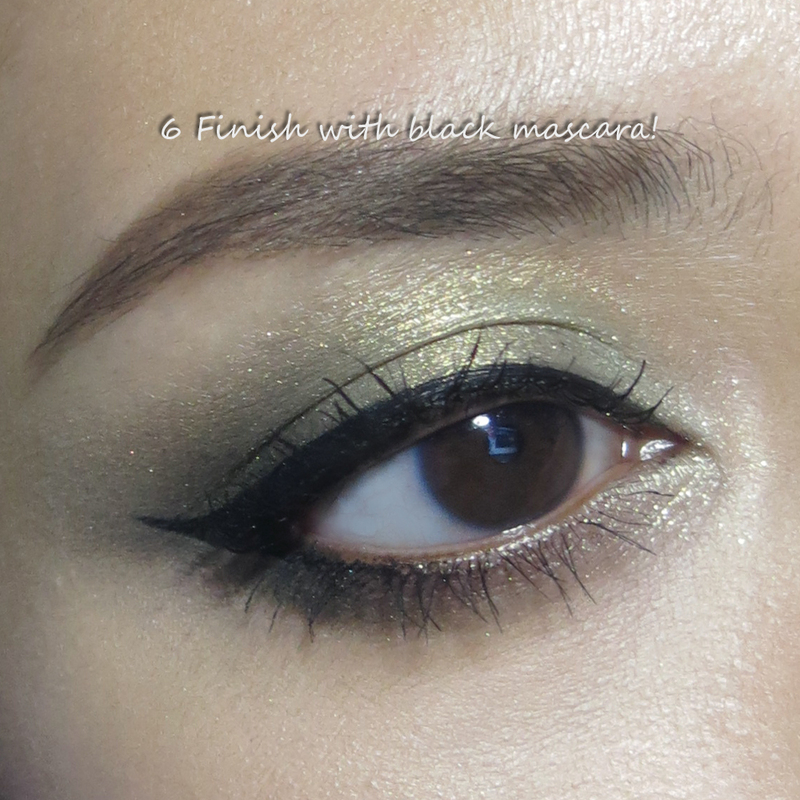 I love the Monochrome Shine eye palette and Super Sharp Liner. I think they do everything they should and are great quality. Lasting Eyebrow W is actually a good product as far as quality of both ends go; I just don't see much point layering pencil and powder, so I don't find it as practical as it should be. 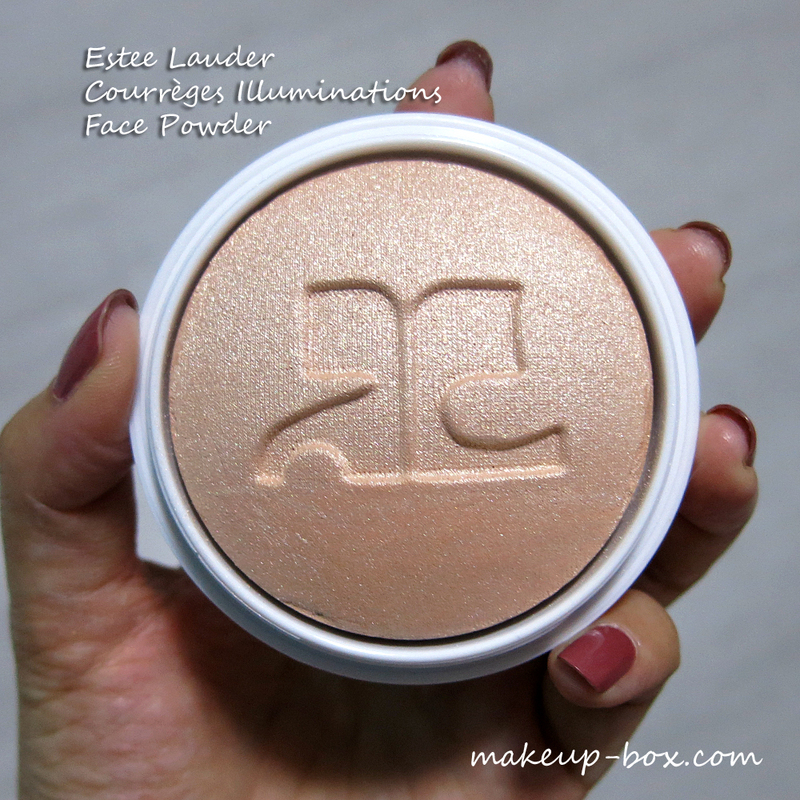 The Estee Lauder face powder is divine! I need it right now in my collection. 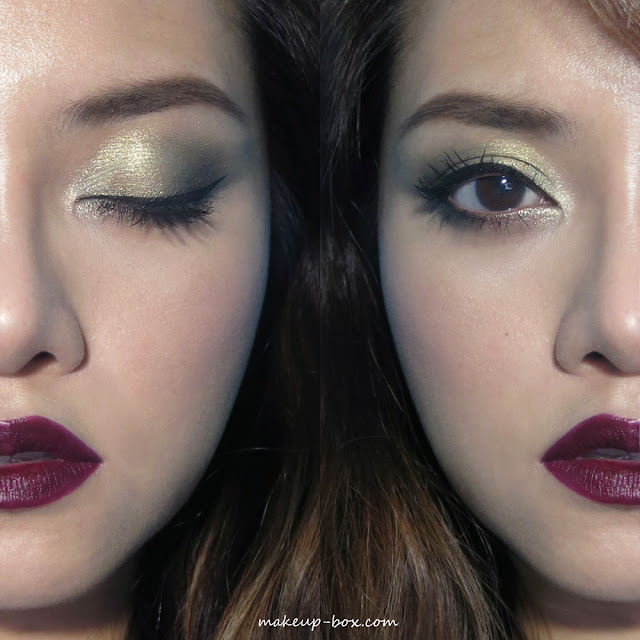 I love green-gold eye shadows. It makes me feel like a statue (or what I, in my imagination, imagine a bronzed, Greek statue would look like). Haha!! Ditto about the statue thing! 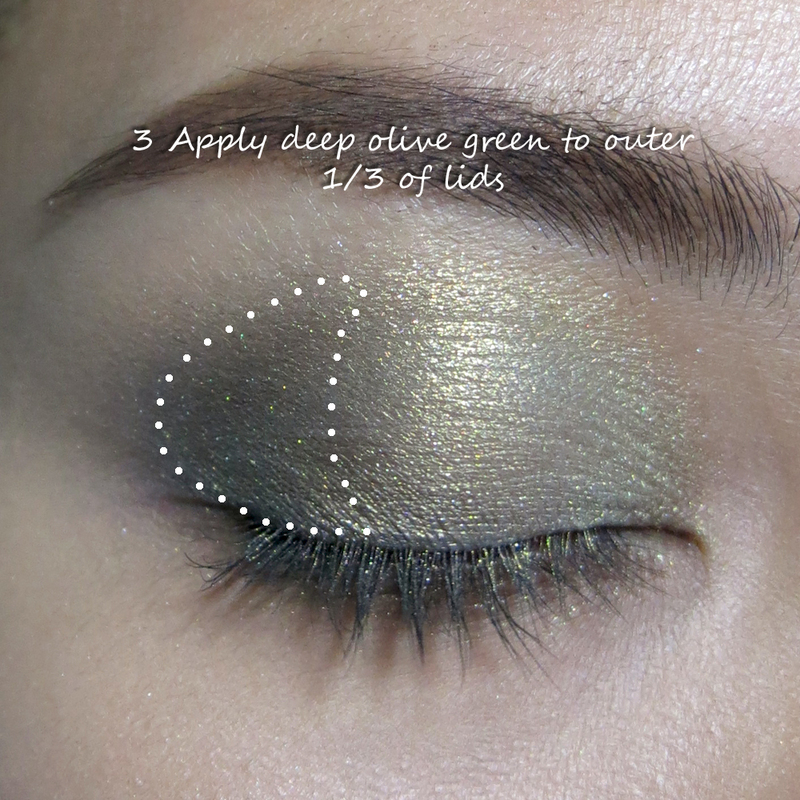 I love bronzey goldey olivey shades cos they look like metal.